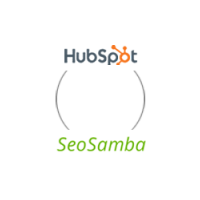 Hubspot vs SeoSamba: who has the best CRM and email marketing? HubSpot allows for field merging into email communications with custom email template creation and forms creation. HubSpot uses its proprietary contacts database to let users build dynamic email content and customized call to actions with links to questionnaires, customized landing pages or webinars. 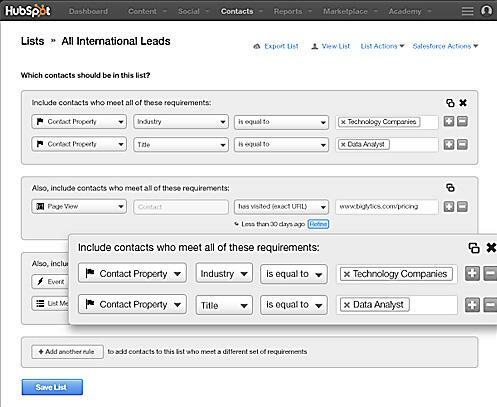 The Contacts database can be segmented to manage leads and recreate a CRM environment for website operations, helping to nurture leads throughout a streamlined online presales process. In terms of email design HubSpot relies on the same engine used for Landing Pages, including the A/B testing module. Basic analytics are integrated in the HubSpot email platform to get feedback on user behavior, clickthrus and conversion rates. HubSpot acts as a standalone online CRM solution for anyone with basic to intermediate needs. It also provides several plugins to integrate various CRM solutions within its own platform such as SalesForce, BaseCRM or Pipedrive. SeoSamba's SeoToaster integrates natively SMS and action emails easily customizable in both CMS and Ecommerce versions. Accessible and customizable directly from the user's website, SeoToaster's action emails are programmed to be sent when a set of specific conditions are met, either using any of the default system mail triggers or creating custom ones. 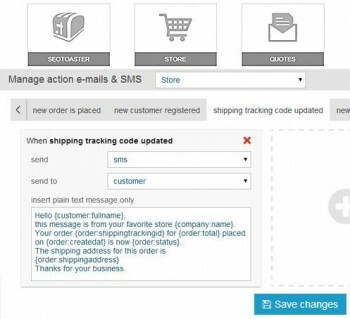 Website operators can also use the same system to trigger automatic SMS directly to any customer's phone upon specific events like shipping or confirming a tracking number. SeoSamba integrates with Constant Contact, thereby ensuring higher email deliverability rates and access to additional features from the U.S leader in email marketing technology. Regarding CRM, SeoSamba relies on Salesforce software for integration of acquired leads, letting users leverage thousands of application to automate online marketing tailored to user's specific needs. HubSpot's all-in-one marketing solution comes with pros (design, process) and cons (limited analytics and email marketing features), especially with few turnkey online store integration options. SeoSamba went the open source way with free e-commerce integration out of the box, while relying on better and overall cheaper solutions offered by online marketing leaders like ConstantContact or Salesforce. When comparing HubSpot's features for a pricing based on the number of contacts as opposed to SeoSamba's possibilities for a flat monthly fee regardless of the number of contacts, the winning hand is clearly dealt by the latter.